After many years of listening to Charlie Parker and all the music and the musicians connected with his music like Sonny Stitt, Art Pepper, Jackie McLean, Mike Osborne and many others, a new world opened up when Ornette Coleman entered the scene. After Ornette followed many fascinating musical experiences of different alto saxophonists like Eric Dolphy, Roscoe Mitchell, Noah Howard, Oliver Lake, Sonny Simmons, Luther Thomas, Carlos Ward, Anthony Braxton, Charles Tyler, Marion Brown among others. I think it was the LP "Other Afternoons" which really turned me to the music of Jimmy Lyons. The history back to Charlie Parker was clear and this in combination with the free language was overwhelming. Then followed all the recordings with Cecil Taylor's different groups where Jimmy Lyons' interplay with Cecil Taylor never stopped to surprise. It takes, for the average jazz listener, many hearings to find out that there really is a structure in Cecil Taylor's music. I must admit that, when I first heard this music, I had the impression of total free improvisation without any given frames. As I have been collecting and exchanging tapes from friends around the world during many years, I found it sometimes difficult to separate the concerts from each other and I therefore started to analyse each concert much because I would like to be sure that the music really came from only one and the same concert. After many months, I studied my material and thought that it could be of interest to other music fans who also had heard the soul of Jimmy Lyons. 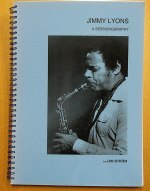 There are quite a few articles in the literature about the underrated saxophonist Jimmy Lyons (see the reference section!) but still, it is difficult to find deeper work on his music. I hope my work will help to place him in the correct surroundings in the history of jazz and also encourage to more written words about him. 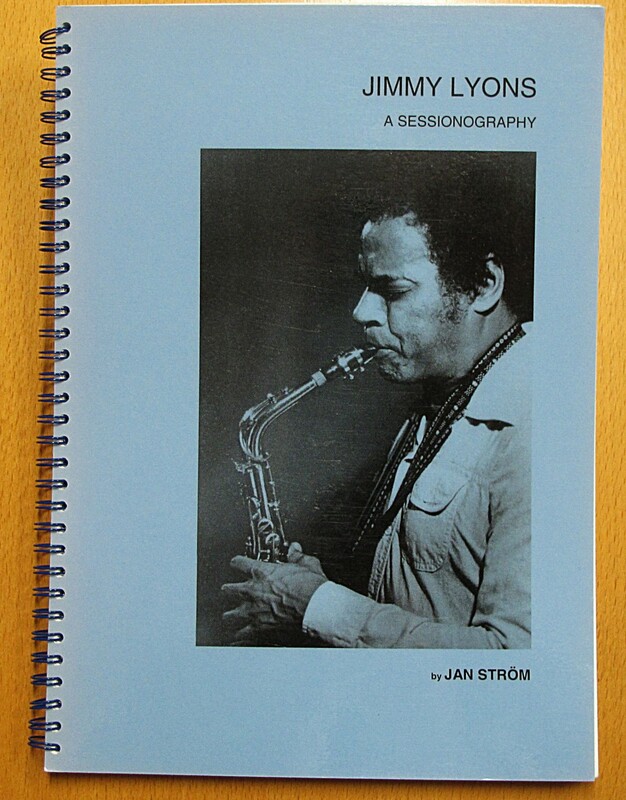 The book "Jimmy Lyons A Sessiono- grphy".